How do I update a large amount of products that I have a low stock number on? How do I change the pricing on all products during a sale? 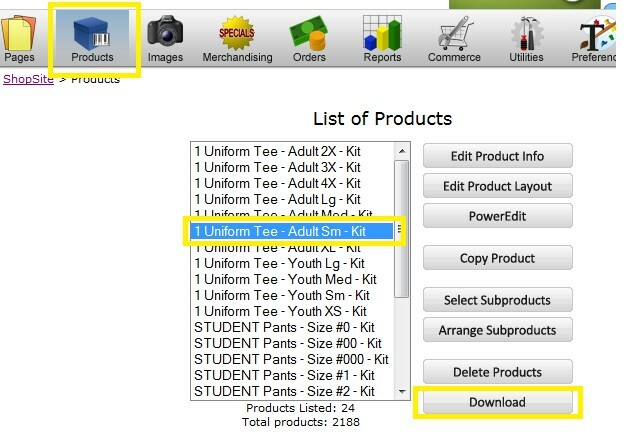 We have put together a how to updating Quantity on Hand field and Pricing field in Shopsite with an excel spreadsheet. This method cuts down the time is would take to go product by product in the Shopsite back office. AND making your business much more efficient. If you have any questions about updating quantity on hand and pricing in Shopsite, contact us today. 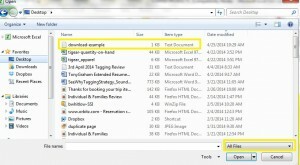 Unless you have an excel spreadsheet with the necessary formatting and columns then follow these steps to download a file with the fields that you need to for the upload. For this example we will focus on the NAME, SKU, SALE PRICE, PRICE and QUANTITY ON HAND. 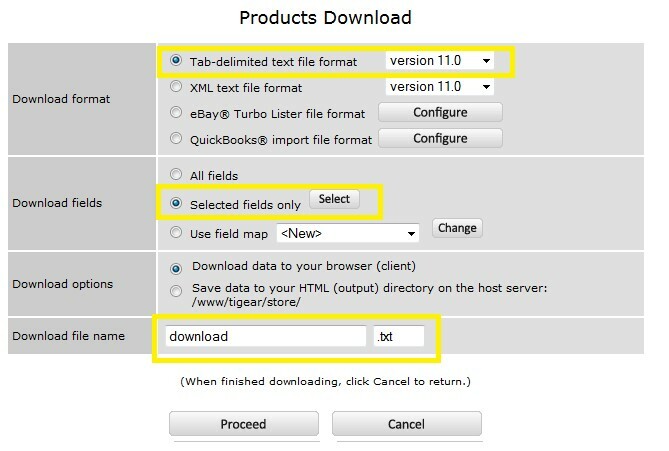 There are 2 ways to perform a download if you have ShopSite pro. Navigate to the Products screen and select any product, then select Download. 2. From the Products Download screen Select the first radio button if not selected and the latest version possible. For Download file name you can name it whatever you like. 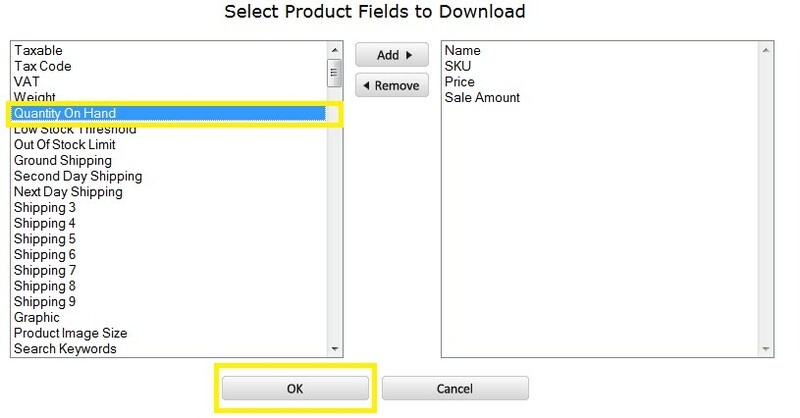 For Download fields we are going to select, Selected Fields only then click the Select button. 3. From the Select Product Fields to Download screen you can select the fields you need. Select the field and then click the Add button. To remove any fields just select the name on right and click the Remove button. When finished click OK.
After you click OK you will return to the Download screen, click Proceed. 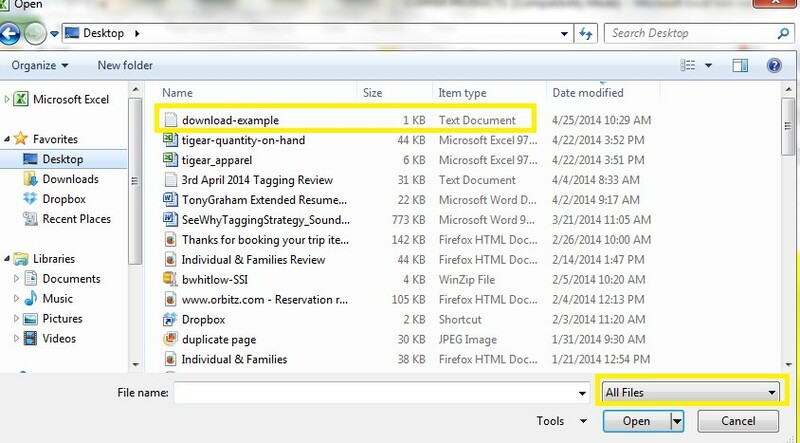 Save the file to a location on your desktop or in a folder. 4. Open excel then navigate to the text file where you saved it and open the file. NOTE: In the bottom right above the OPEN button and next to the file name there is a drop down menu, to see the text file this must be set to All Files. Open the file. When you open the file you will be prompted with 3 different dialogue windows, click next on the first 2 and finish on the 3rd. 5. Before we do any work the file must be save as an excel document for the upload. 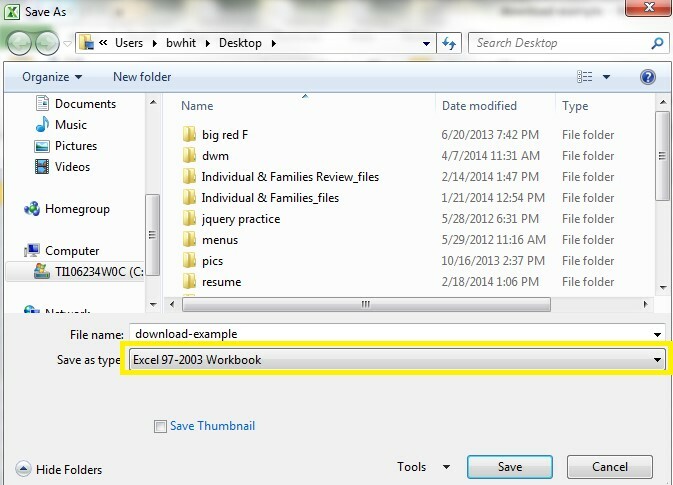 Click save as in excel then from the Save as type menu select Excel 97-2033 Workbook, this is very important as this is the file type the SS requires for upload. Click Save. You are now ready to delete any unnecessary data from the file and add your own for upload. DO NOT put a $ sign in the price fields just numbers and decimals, SS add the dollar sign and if you try and upload with the $ it will cause errors. 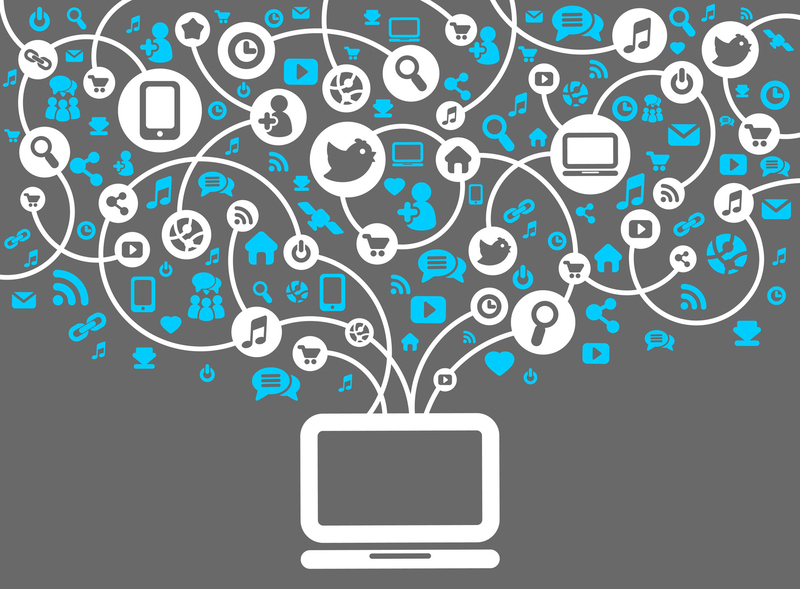 Follow the steps to upload in the Product Upload For Shop Site how to. The second way to download the excel is to go to the database screen. This is the only way to do a download in SS manager. Go to the Utilities menu and select Database and select Download. From the Database Download screen select the Products radio button and then click Download. From the Products Download screen please follow the steps above in the previous section.